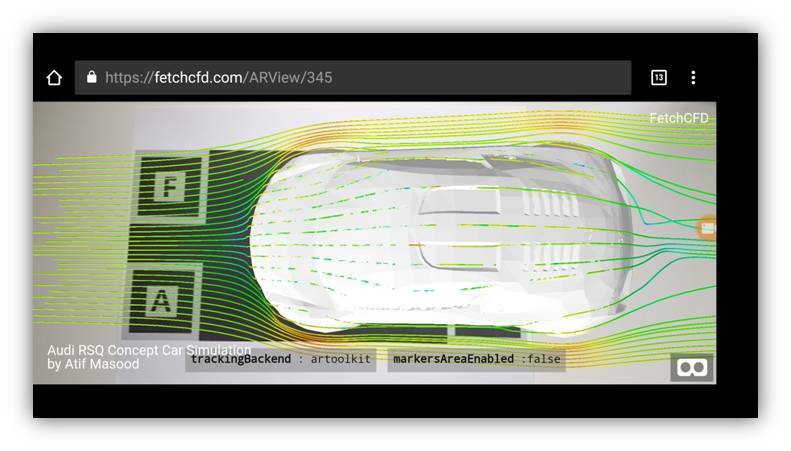 Browser compatibility, browsing and navigating simulations and designs on FetchCFD in 3D, augmented reality and virtual reality. All types of files (CFD, FEA, simulation files, CAD, 3D models, codes, ZIP files, etc.) and images (JPG, PNG, TIFF, GIF, etc.) can be hosted and managed on FetchCFD. 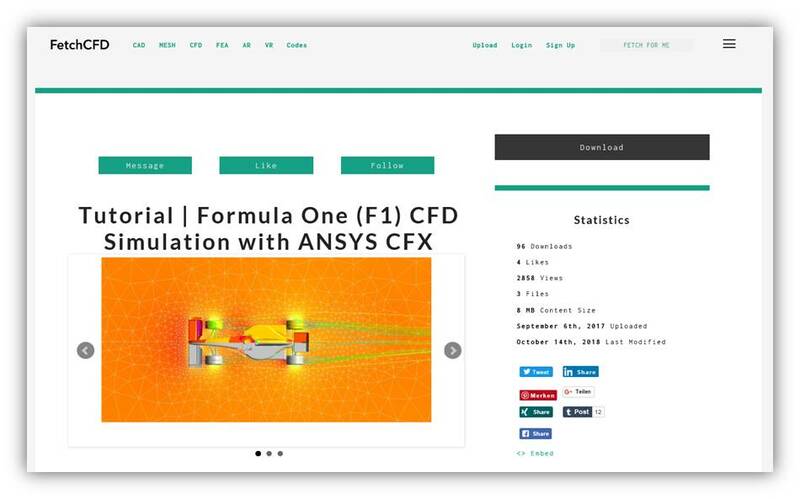 FetchCFD can also display simulations and CAD models in 3D on web. Note: More 3D Viewers are coming soon. Theoretically speaking, there's no limit to the complexity of 3D projects that can be displayed. However, WebGL is hardware-accelerated, so the FetchCFD viewer's performance will depend greatly on the computer displaying it. 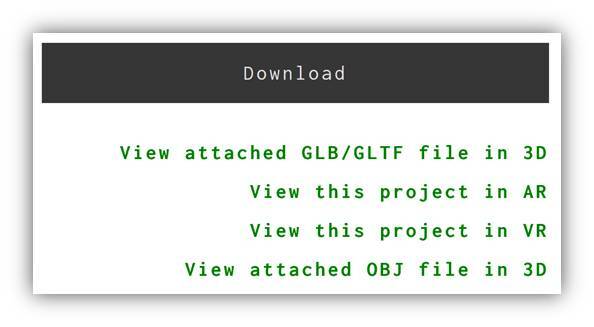 The larger the file size, the longer it takes the project to display. This is even more important in case of mobile users. To display content in 3D in real-time we use WebGL, which is a standard in almost all modern browsers. You can check the compatibility of your browser on http://get.webgl.org/ To learn more about WebGL on your machine, refer to http://webglreport.com/. You need to manually enable Safari in 7.1.3 [OS X 10.9] and earlier versions. In case of any problems, make sure your graphics driver and browser are up-to-date. If that doesn’t work, try one of the browsers listed above. To start troubleshooting refer to this http://get.webgl.org/. - In Firefox, type about:config into the address bar and enable webgl.force-enabled. - Go to chrome://flags/#ignore-gpu-blacklist and enable the Override software rendering list flag. View FetchCFD simulations and 3D models in Virtual Reality. With WebVR and VR headset you can view FetchCFD simulations and 3D models (currently only works for .gltf/.glb files) in VR. FetchCFD VR works on a wide range of VR devices. Works with Firefox, Servo, Chrome Canary, and Supermedium on Windows. On macOS, use Firefox Nightly. Oculus Rift works with Firefox, Chrome Canary, and Supermedium on Windows. Oculus Go works with Oculus Browser. Supported by Microsoft Edge on Windows. Firefox and Supermedium are also supported with SteamVR. Note: Latest version of Firefox is recommended. Note: The WebVR viewer is incompatible with the Google Chrome WebVR API Emulation 1.1.4 extension - You will need to disable it. This Chromium technology is still very young, and in experimental phase. You can check status and progress of browser here. How to View a Project in VR? 1- Download and install a compatible browser. 2- If you're using Chromium, go to chrome://flags and turn on the "Enable WebVR" and "Enable Gamepad Extensions" flags. 3- Go to the project page you want to view in VR. Click on the "View this project in VR" button/link. 5- Start VR Mode on FetchCFD VR Viewer page by clicking VR button on the lower right corner. With your smartphone you can view FetchCFD projects (currently only works for .gltf/.glb files) in Virtual Reality using Google Cardboard, or similar. Works with Oculus Browser and Samsung Internet. Works best with Chrome on Android devices. May work in other browsers on Android and iOS, but might not be as smooth. 1- Go to the project page and click on the "View this project in VR" button/link. 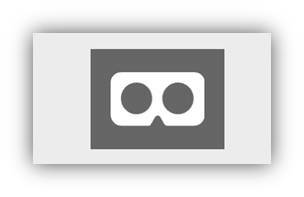 2- Tap the VR button to open the project in VR mode. 3- Drop your phone in the headset (e.g. Samsung Gear VR, Google Cardboard etc.). From any project page, click on "View this project in VR" button/link to enter into FetchCFD VR Viewer. Put the phone in your Daydream headset, and it will automatically open the project in VR. Check out some awesome projects in VR. Bring your 3D models and simulations into the physical world with FetchCFD augmented reality experience. Use any browser with WebGL and WebRTC (for iOS, iOS 11 is required). It works on all platforms. Android, iOS and windows phone. How to View a Project in AR? 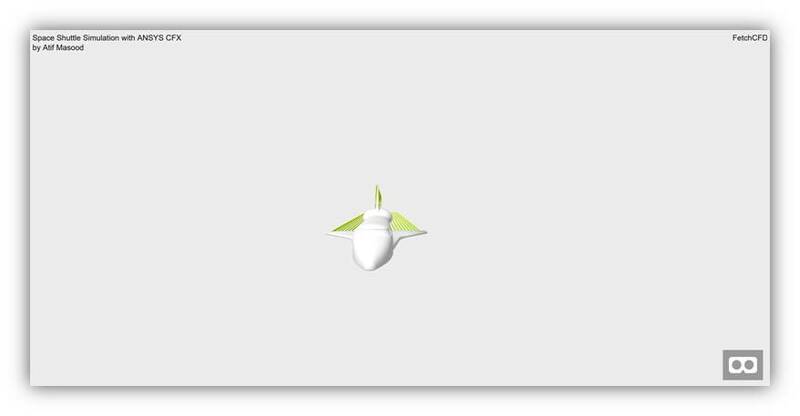 1- Open the FetchCFD marker image in your desktop browser or use a print out of this marker image. 2- Go to the project page you want to view in AR using your phone browser. Click on the "View this project in AR" button/link to launch FetchCFD AR Viewer. 3- Point your phone camera at the marker image. Use any browser with WebGL and WebRTC like Firefox, Edge (ORTC support), Safari (Version 11 and later) or Google Chrome. For the most up-to-date information about browser WebRTC support please check this link. 1- Open the FetchCFD marker image in your mobile screen or use a print out of this marker image. 3- Go to the project page you want to view in AR. Click on the "View this project in AR" button/link to launch FetchCFD AR Viewer. 4- Place the target image in front of the computer camera.  To view a project in AR you will also need marker image. Check out some great projects in AR.